The Escape 2015 lineup is out, and it’s packed with talent from around the world. This is Insomniac’s annual Halloween party. It’s taking place Friday October 30th and 31st at the NOS Event Center in San Bernardino. The lineup includes something for everyone – from trance, trap, house and techno. Once again, Richie Hawtin is back with his mesmerizing beats with his very own curated ENTER. stage. GA and VIP tickets are on sale now and you also have the option of buying single day tickets. Hotels in and around the venue are close to being sold out – so if you plan on attending be sure to make those reservations NOW. So the world famous megastructure that we love will be making it’s return. 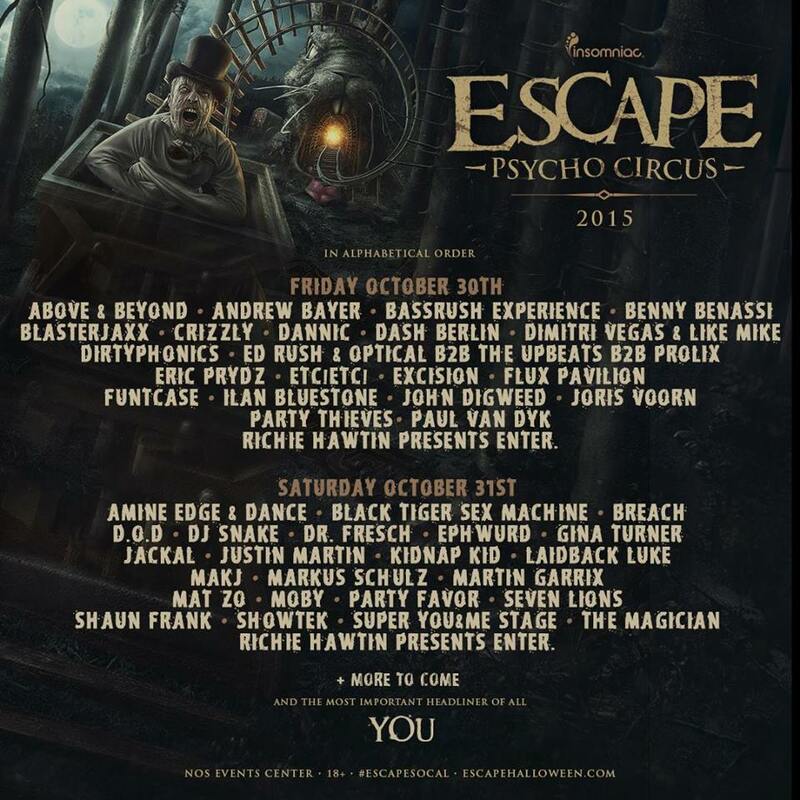 Here is the official lineup, and for tickets visit www.escapehalloween.com!